Dr. Nancy completed M.B.B.CH from Faculty of Medicine, Ain Shams University, Cairo, Egypt. She completed medical rotations in Pediatrics, Internal Medicine, Surgery, Cardiology, ENT, Infectious diseases, Obstetrics & Gynecology, Dermatology, Psychiatry and Public Health. 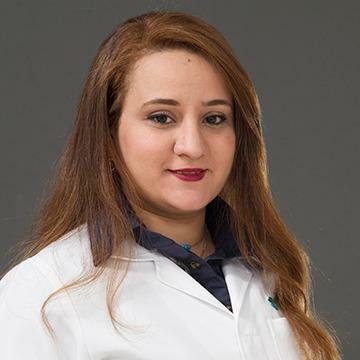 Dr. Nancy has worked as General Practitioner in hospitals of International repute like Ain Shams University – Cairo, Egypt, and MOH Hospitals, Egypt and UAE. She has experience in the diagnosis and treatment of hypertension, diabetes, dyslipidemia, thyroid diseases, upper and lower respiratory disease, internal medicine diseases, asthma diseases, cardiovascular diseases, dermatology cases (eczema, urticaria, dermatitis), E.N.T. cases (sinusitis, otitis media, external otitis, allergic rhinitis). She is adept in handling emergency cases, M.I, angina, chest pain, asthma, COPD, renal colic, intestinal colic, acute gastroenteritis, food poisoning, acute appendicitis, trauma, bone injury . Dr. Nancy is well versed in English and Arabic.